This speech is magical and shows talent and passion from New Zealand Green Party. Probably will the international world see here more in media because she got something magical over here way of reaching out to the audience. Video, watch how the woman behind here in the audience reflect and show the emotions in every word Golriz deliver. Thanks to my magical friend Jack Yan for sending me this speech. Ps if you get more politicians like this in New Zealand I will move over to New Zealand. A day full of sales results and moments of sales inspiration, Mace Speakers sales conference day. Organizer: Mace Speakers is one of Sweden’s first speakers bureaus and started in 1998. 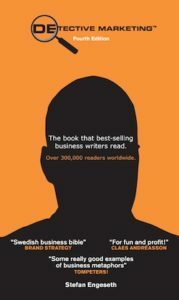 They offer speakers, artists, seminars and free conference booking service. Open data is critical for an friendly city. Boyd Cohen, Quote from speech, 22 November 2017 Stockholm, Sweden. 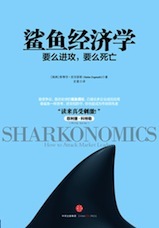 The first edition of Sharkonomics sold almost 10,000 copies in Simplified Chinese available in Mainland China. 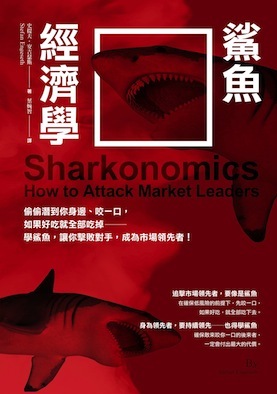 Now another edition in Complex Chinese that is available in Taiwan, Hong Kong and Macau is out, with a bright red cover—which, of course, is lucky in China. I hope that Chinese readers bite hard and fast on this edition, too. 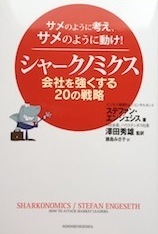 There seems to be a great buzz about the book and topic. I have always been curious about China but I have yet to visit. 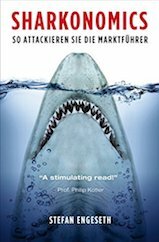 I hope one day to hold lectures about Sharkonomics in China. 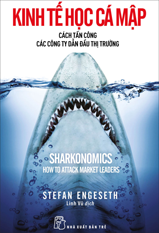 Two Chinese press clips for Sharkonomics (biting into Apple and Ikea). 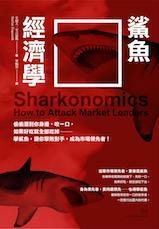 Second edition of Complex Chinese Sharkonomics is out now. Are you ready to market clothes to robots? Aric Dromi, Quote with permission from speech, 13 November 2017 Stockholm, Sweden. Kill history and kiss the future. Two full-featured program with p. A Dr. Nicola J. Millard, Head of Customer Insight & Futures, BT Global Services Innovation Team, Adam Hassan, CEO, Designit, Erica Lundin, Lead Centre of Exellence Aida, SEB participants and our Stefan Engeseth as moderator. There are still some tickets left for fast movers at Insightevents. 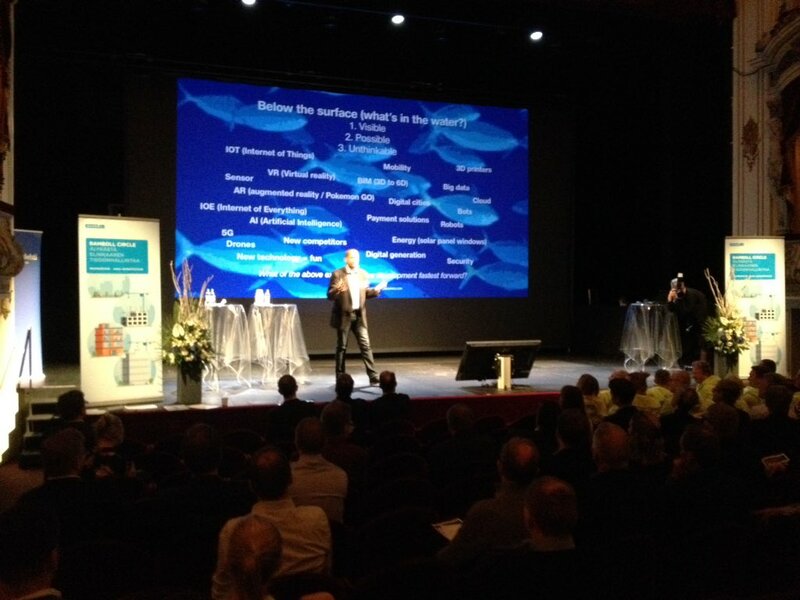 This week I was Keynote speaker at Ramboll in Finland. Great audience. 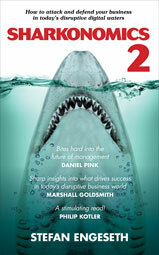 • Now is not the time to be fat and happy… refering to IT-sharks as Google who are entering the building industry. • He warns that if the real estate and construction industry does not actually take over the domain of digitalisation, someone else will do it. • Many real estate owners are unknowingly managing a gold mine because real estate information can be processed into a highly lucrative business in the right hands. Finnish construction magazine Talotekniikka-lehti by Minna Kärkkäinen (1/11/2017). 1. A creative workshop in the middle of the night for those who are awake in business!